How can Hadoop help us with big data and analytics? Written by the International Institute for Analytics (IIA), this paper presents a broad view of how Hadoop is being adopted and used by global organizations. And perhaps most importantly, it lays out specific recommendations that you can take to succeed with big data and Hadoop. • Reasons driving companies to use Hadoop. • Examples of what Hadoop can – and can’t – do. • How Hadoop relates to the enterprise data warehouse structure. 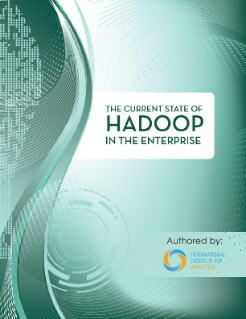 • Who benefits most from Hadoop, and what benefits it can deliver.